The Sächsische Schweiz (English: Saxon Switzerland) is a former district (Kreis) in the south of the Free State of Saxony, Germany. Saxon Switzerland is a hilly climbing area and national park around the Elbe valley south-east of Dresden in Saxony, Germany. Together with the Bohemian Switzerland in the Czech Republic it forms the Elbe Sandstone Mountains. 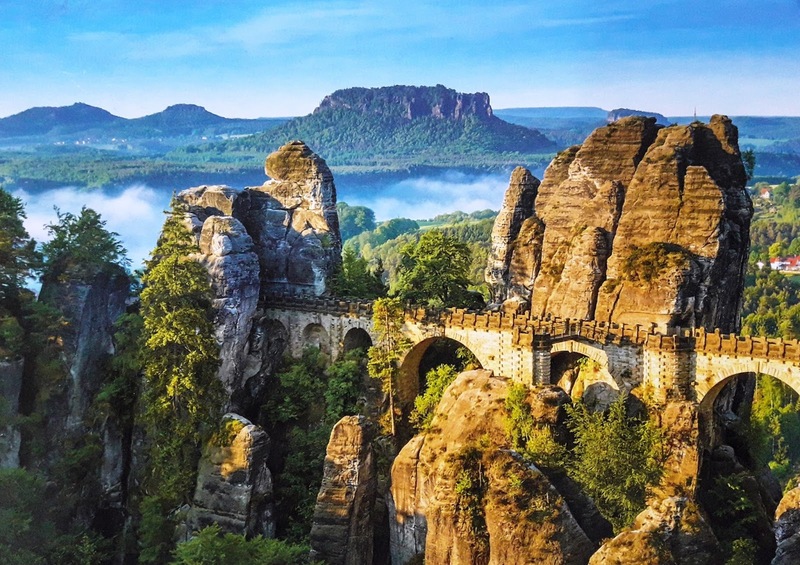 The Bastei is a rock formation with observation deck in the Saxon Switzerland on the right bank of the Elbe .